Friendly smiles await you at Pine Hill RV Park! Our camping facilities are a gem within the famous Pennsylvania Dutch Country, one of America’s premier historical and cultural settings. With its gorgeous manicured lawns, cool breezes and spectacular vistas, Pine Hill’s clean, peaceful and quiet atmosphere is sure to please and impress. Americana thrives in our nearby surroundings. Explore Crystal Cave, Pennsylvania’s largest natural wonder, or visit Dorney Park & Wildwater Kingdom, Pennsylvania’s premier family theme park. 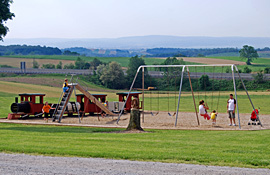 Pine Hill is also one of the closest campgrounds to the Kutztown Folk Festival, the Crayola factory, Cabela’s, and other outstanding regional attractions and events … only a few of the reasons to stay with us while you set out on your next Pennsylvania vacation adventure. Pine Hill RV Park is now open for the 2019 season. Make Pine Hill your home away from home and your first choice for relaxation and fun. We will do our best to insure that your stay in the Pennsylvania Dutch Country will be the setting for your best camping vacation ever. 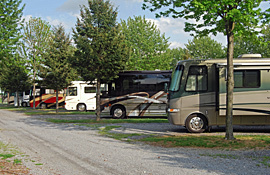 Choose Pine Hill RV Park … where friends come to relax with friends. 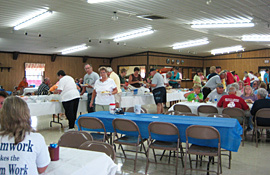 © Pine Hill RV Park. All rights reserved.